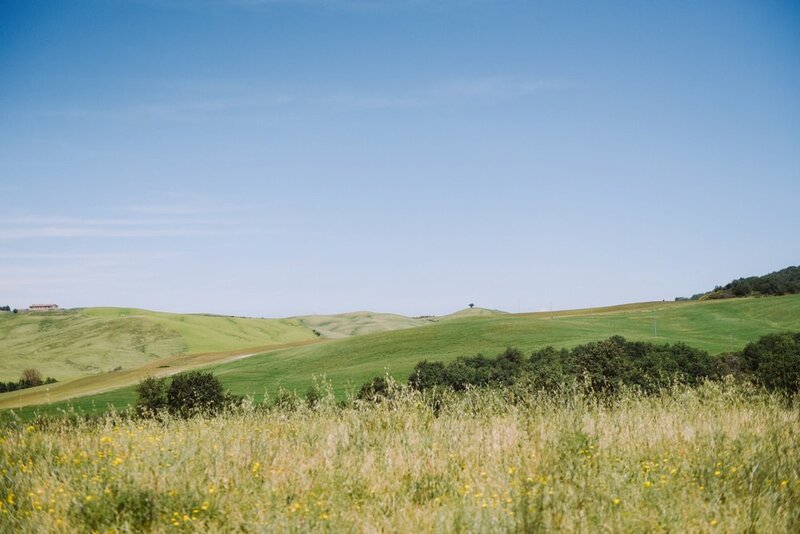 Can there be anywhere more perfect for a place to marry than Tuscany? 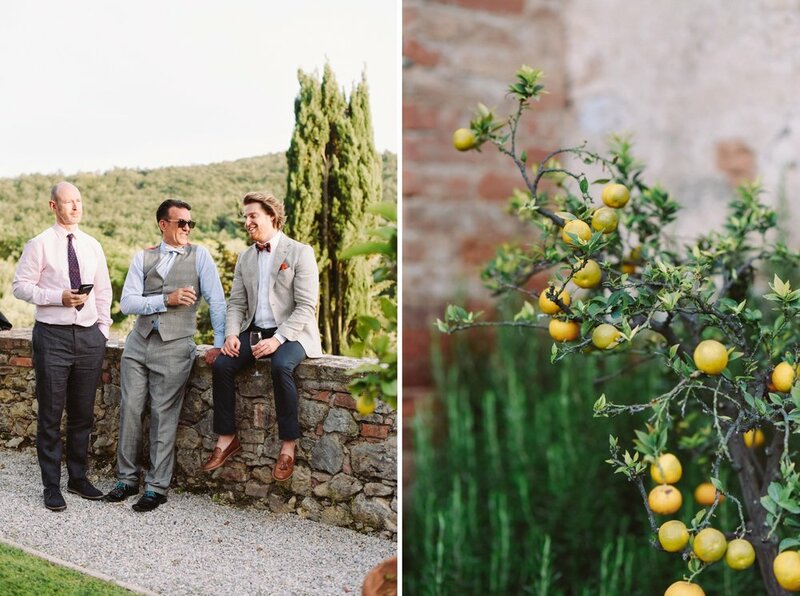 Alison and Greg chose an ancient monastery, Sant’Anna in Camprena, in the heart of Italy to tie the knot, and it did not disappoint! 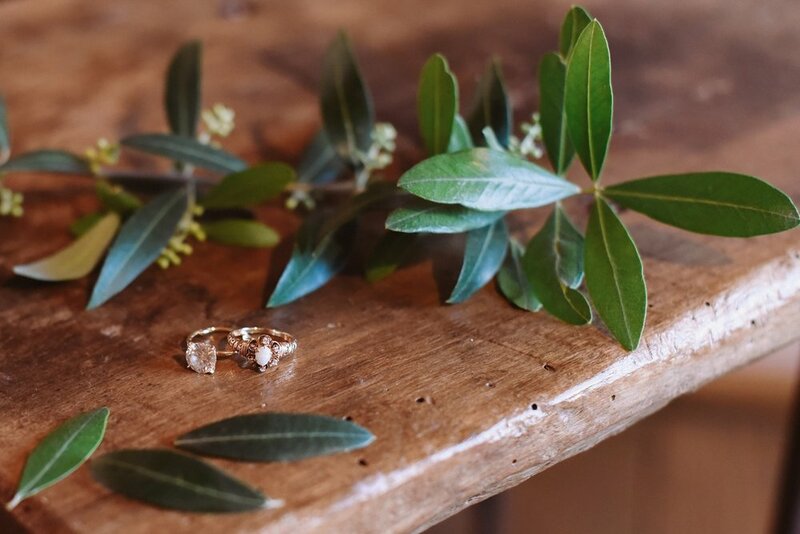 The location offered a perfect setting for their special day, from the getting ready to the reception, with its beautiful gardens, the cloister and the perfectly decorated rooms. 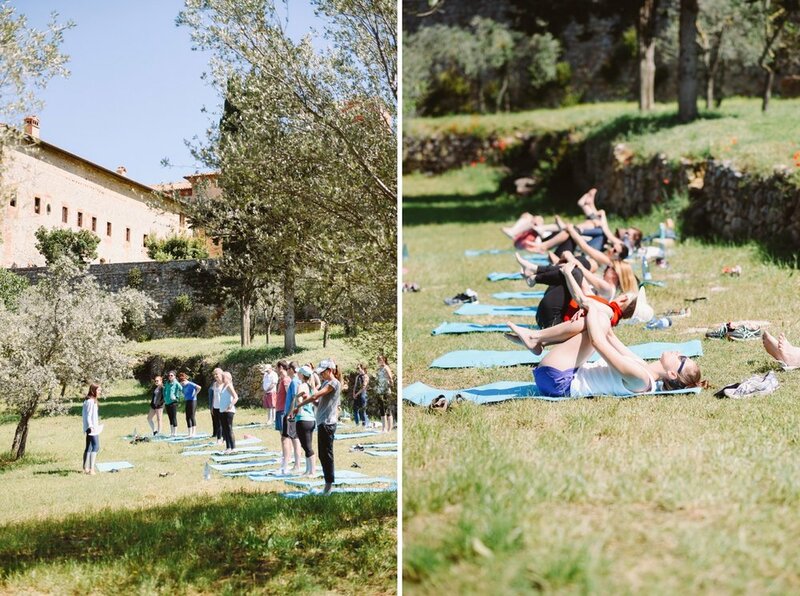 Wedding day began with a yoga class in the olive groves for the bride and her friends, while some of the boys went on a Vespa tour of the countryside. 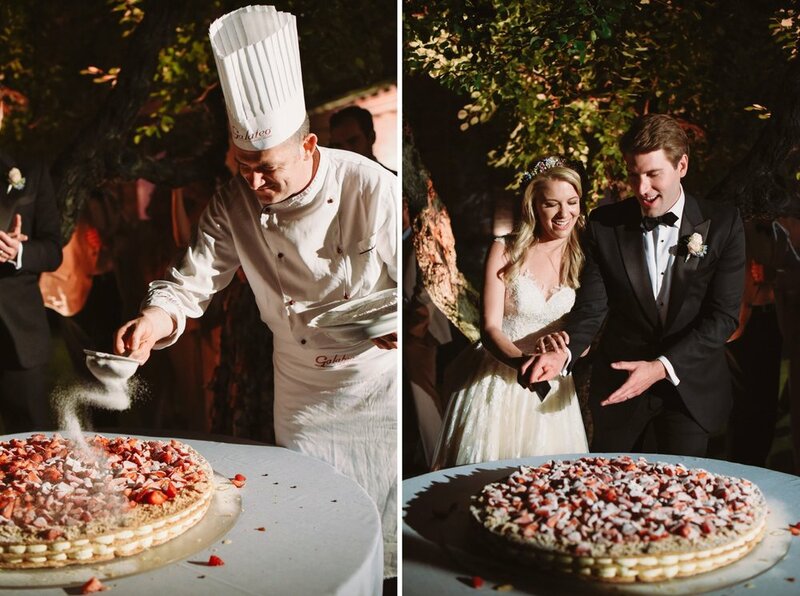 For the ceremony Ali and Greg chose to hold their nuptials in the abbey church dedicated to Saint Anna, surrounded by family and friends, and then, the reception was held in the center of the monastery courtyard, between fruit trees and ancient walls creating the perfect romantic setting. 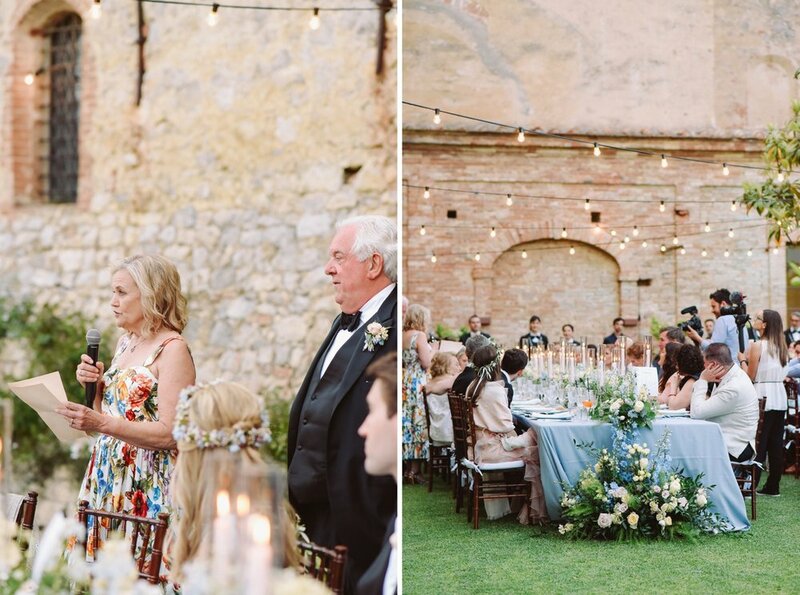 The party was beyond beautiful, with two dramatic and perfectly decorated imperial tables, some great aperitivi and a stunning dinner setup, illuminated by strung bare bulbs. With the expert guidance of Alessia, they created a magical feel with a gorgeous pale blue, pink, yellow and green color palette for the florals.